Concerns over the trade deficit and inflation, fuelled by high oil prices, have prompted many investors to exit long positions in the rupee. The rupee declined 24 paise to close at 71.99 against the dollar on Thursday, extending its fall to the seventh session in a row. Continued strength in the greenback along with current account deficit-related concerns fuelled by rising crude oil prices kept the rupee under pressure, say analysts. The rupee dipped below the 72 level against the American currency for the first time during Thursday's session, before settling at 71.99 for the day. Further weakness in the rupee came a day after the government attributed the plunge to global factors. The government has attributed the latest depreciation in the rupee to global factors. "It has not weakened...the rupee is better-off," Finance Minister Arun Jaitley had said on Wednesday. "We are not in a trade war business but when countries neighbouring us devalue their currencies...that has a corresponding impact on us. Turkey had some impact on us," he had said. 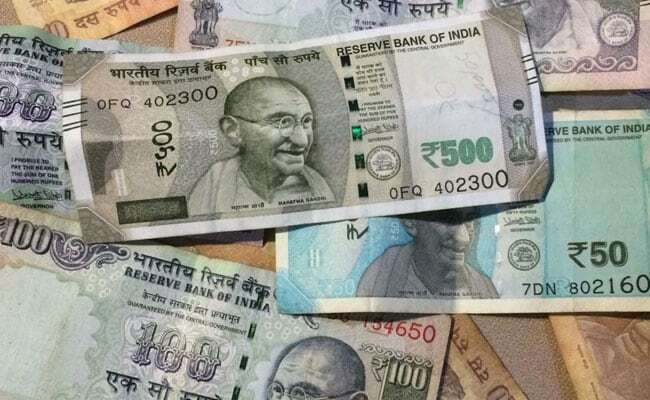 "Statements indicate that the government is comfortable with a gradual depreciation and we can expect some intervention which will only stem a sudden fall but not a reversal," said Salil Datar, CEO and executive director, Essel Finance VKC Forex. "Rupee's current weakening is more reflective of the impact the rising oil prices will have on our fiscal deficit due to our CAD (current account deficit) likely to get widened," said Mr Datar, who expects the rupee to trade between 71.80 and 72.50 going forward. Domestic fuel prices are at record highs in many cities thanks to strength in international crude oil prices. Crude oil rose to trade at $77 a barrel levels in anticipation of tightening supply. Major oil consumers such as India - which meets more than 80 per cent of its oil requirements through imports - are finding their import bills rising quickly. "The rupee continues to make a record low as there is lot of speculative dollar demand in the market. The RBI is not intervening aggressively that has kept sentiment bearish for the rupee. Higher crude oil prices, weakness in EME currencies may pressurize the rupee in coming sessions," said Rushabh Maru, research analyst at Anand Rathi Shares and Stock Brokers. The rupee is down more than 12 per cent year-to-date. Concerns over the trade deficit and inflation, due to high oil and commodity prices, have prompted several foreign investors to exit long positions in the rupee, making it Asia's worst performing currency this year.